Now obviously there is a sort of awesomeness to a model which suggests that you should raise the nominal interest both in response to too high and too low inflation. I can't help but somewhat comedically imagine a central bank that faced with a symmetric exogenous shocks keeps raising the rate ever higher. More seriously, though what is the channel through which higher interest rates would raise output today. Based on your model it seems that people are expecting higher output and so I would imagine that we would have higher capital investment. However, this seems so counter to intuition and market behavior. An announced increase in nominal rates tends to depress capital investment. Do you think that intuition is all wrong, or is there another way this could work itself through the real economy. (i)Who says you raise nominal interest rates in response to high and low inflation? Are you talking about my neo-Fisherian rule? 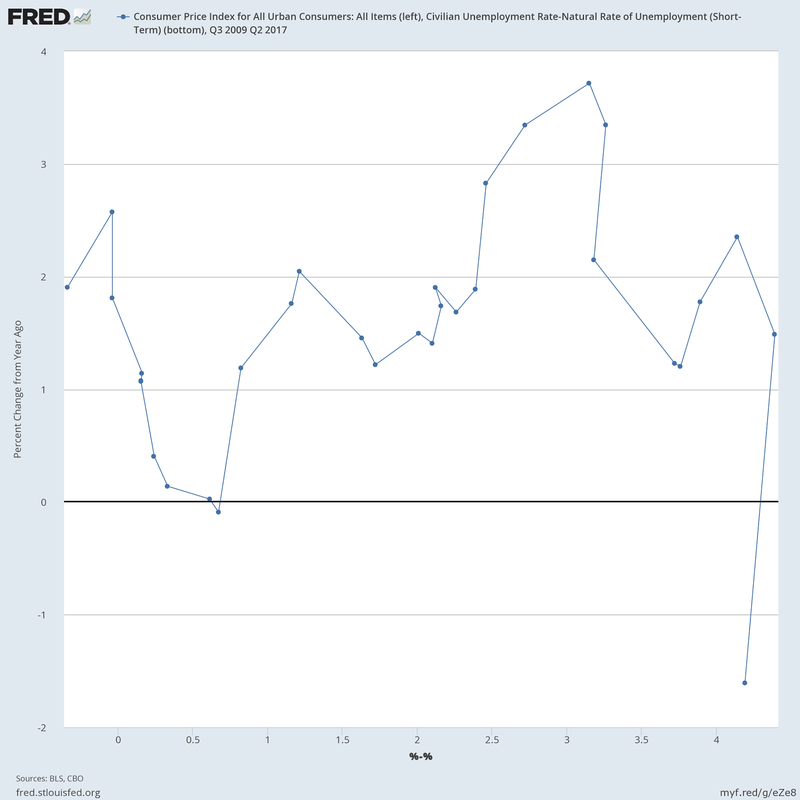 (ii) In the example, output increases due to a Phillips curve mechanism. That's what happens in Cochrane's example too. You may not like that in which case you have a problem with the model. That's fine with me. I don't like those models either. Oh I think I see how this might work. In order to raise it's nominal target the Fed is forced to sell bonds. The increase in the supply of bonds increases the safe assets in the financial system. With the availability of safe assets to offset portfolio risk, banks are willing to lend to riskier projects. Though this isn't what happens in NK models (a shame they don't deal explicitly with monetary policy), when you spell out the details, a nominal interest rate increase has to be supported by open market operations (or it can just be an increase in the interest rate on reserves, as currently in the US). That's key to what is going on, but nothing to do with bank lending and risk, particularly.